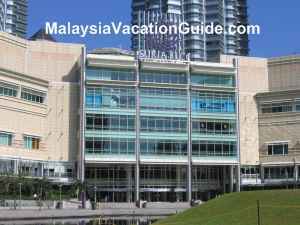 IOI Mall in Puchong is a modern 3-storey shopping and entertainment mall with a total area of approximately 650,000 square feet. This mall with a Mediterranean architecture was launched in June 1996. 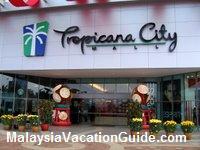 It is one of the major shopping centre for residents in Puchong and the vicinity. 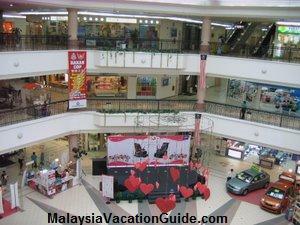 The other shopping centre is TESCO Puchong which is located just beside the shopping mall. Servicing the needs of the people, this shopping mall has a few main tenants that provide branded goods as well as entertainment for the entire family. The 3 floors has a total of 147 outlets divided into Food Street, Entertainment Wing, Education Corner and Fashion City to name a few. Jusco departmental store houses a wide range of branded and local goods that you can choose from. Example of goods offered at AEON Jusco include clothes, food stuff, stationary shoes and a variety of household products. Most of the items here are reasonably priced. The well decorated and spacious concourse that is used as a promotional centre for many products at different times of the year. Notice the many shops that sell different types of goods. Jusco can be seen at the background. Apart from shopping, there is the Golden Screens Cinema at the second floor of the mall. Screening of the latest movies in town are provided here for your enjoyment. If you are into into books, POPULAR book store is located at the second floor. Many books and stationary can be found here. Ensure that you apply for the POPULAR Card membership that cost you RM10/year in order to enjoy a 10% discount on most books. If you are into eating, there are many restaurants that you can go to. Esquire Kitchen serves Chinese cuisine and is reasonably-priced. If you are into bowling, there is a bowling centre at the second floor of the mall. Various promotions are given at different times of the day. Ampang Superbowl Puchong is located at second floor. 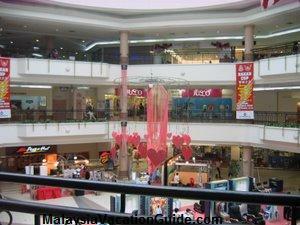 The Mall is located along main Puchong trunk road at the heart of Bandar Puchong Jaya. If you are coming from Petaling Jaya, use the LDP (Lebuhraya Damansara Puchong) and go towards the Sunway Toll. Exit the toll which will cost you RM2.10 and go further down the road. You will see the Mall and TESCO to your right. Make sure that you Keep left and go up the flyover to make a U-turn. After the U-turn, go straight and you will be able to see the mall to your left. If you are coming from Putrajaya or Cyberjaya, go along the LDP and you will see the mall to your left. 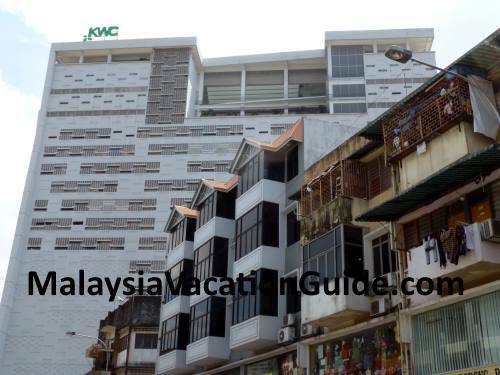 IOI Properties recently launched the free shuttle bus service for residents of Puchong. This bus will take residents who sign up for the Privilege Card to the Mall, Bandar Puteri Puchong and Giant Hypermarket. All residents and home owners within the township are eligible for the privilege card for free. The shuttle bus operates from 9:30am to 6:30pm from Tuesdays to Sundays. Apply for the card at the Mall or IOI Sales Galleria, Bandar Puteri Puchong. Contact +6 03 8076 9898 for more information.